Enjoy reading the Easter message of the ICDS General committee here. Risen, alive and full of grace. You paid such a price that we may live in freedom today. We worship your holy name and give thanks for your redeeming grace. May we drink in your tender love so that we can pour this love out to others. Come reign in our hearts, minds and spirits. We welcome you to blow through our every word, action and thought. 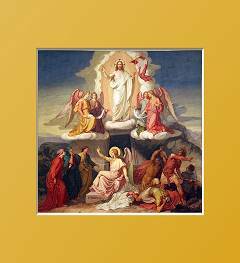 Come transform us on the inside so that each day we become more like our risen Lord. is online and you can find it with the link above. Enjoy, support and share it with other Lay Salvatorians around you, please. don’t hesitate to tell us with a comment or a prayer request! Click here, if you have a request! Let’s pray in common for our concerns. 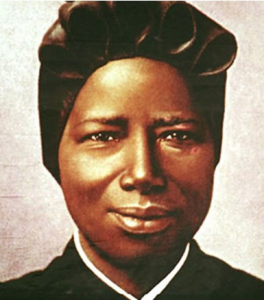 February 8 is the feast day of St. Josephine Bakhita, who was kidnapped as a child and sold into slavery in Sudan and Italy. Once Josephine was freed, she became a Canossian nun and dedicated her life to sharing her testament of deliverance from slavery and comforting the poor and suffering. She was declared a Saint in 2000 and the Pontifical Council for Justice and Peace and the International Union of Superiors General has designated February 8 as an annual day of prayer and awareness against human trafficking. On February 8, Catholics all over the world are encouraged to host or attend prayer services to create greater awareness about this phenomenon. Through prayer, we not only reflect on the experiences of those that have suffered through this affront to human dignity, but also comfort, strengthen, and help empower survivors. Many Salvatorians over the world (religious and lay) are working in this field in several units. If you don’t have information about the salvatorian work against Human trafficking and modern slavery get into contact with your unit leaders. They should know more or contact members of the International Salvatorian Committee for justice, peace and integrity of creation. It’s necessary and important that all people get the awareness about this serious crime, to free this modern slaves and end modern slavery – because it’s unfortunately often more close to you as you expect. By the way, how many slaves work for you? – No one, no idea? Be sure, there are working some. How many, you can find out here at slaveryfootprint.org – it’s really shocking and you would not belive. The above three videos were courtesy by Churches’ Commission for Migrants in Europe (CCME) and were produced by the MIRROR project, coordinated by Accem. PRAYER SHEET in English and Spanish. In addition, the GC wants to invite and motivate the unit leadership teams to get in mutual contact over our ICDS forum (section JPIC) or by email to discuss possibilities of support, cooperation, and sharing materials. Maybe this can be a starting point or reminder for more cooperation between some units. Stand up and get into contact with others so our efforts against modern slavery may be blessed and we become more connected. We are sorry that this last article had to be taken back for some time because it was still not finished - it will come soon. Many thanks for your patience.